There were three criteria for my selection: first, the events or issues should be new or chronic; second, they should be likely to seriously affect the security of individual countries; third, they are likely to affect regional or world peace. Interestingly, populism and nationalism have been spreading widely in both the West and non-West. Populism defines the general public as a morally good force against the elite consisting of the political, economic, cultural and media establishments placing the interests of other groups above the interests of the people, and advocates direct popular engagement in political decision making. Ordinary citizens’ distrust of the elite could be their true feelings toward the elite -- whether their perception is empirically true or not. In reality, the elite tend to talk and behave arrogantly. This is one of the reasons why political scientists warn of the growing elitist culture in democratic states. On the other hand, contrary to what some political scientists have predicted, nationalism has become stronger than ever. The answer is that nationalism is founded on primordial ties, not secondary and tertiary ties, and the former prevails over any of the latter. This does not mean that nationalism always prevails over other primordial ties. This is the main political issue in all developing countries, where other primary ties, such as tribe, clan and village, remain very strong. North Korea has refused to accept that UNSC economic sanctions against the country could be completely lifted if it denuclearizes. As long as North Korea sticks to this position, the stalemate will continue. We will carefully watch how Kim Jong-un behaves next year. Which choice guarantees his survival? For him, there are two routes to his survival: China (and/or Russia) and South Korea. His game plan is likely to fail mainly because China and Russia may change their minds, while South Korea would not be able to maintain its ambiguous position for long. Why do tribalism and racism still persist in both African and Europe? In fact, both primordial behavioral patterns are the remnants of barbarism (primitivism). Civilization is defined by Webster Dictionary as an ideal state of human nature characterized by a complete absence of barbarism. It is highly ironic that Westerners who condemn African tribalism as barbaric still practice racism. They should have admitted that unless humans are reborn, they cannot completely discard primitive behavior. Contrary to what US President Trump believes, global warming and air pollution have been worsening mainly because ever-increasing externalities caused by industrial and other human activities have heated and polluted the atmosphere. Nations have tried to reduce and eradicate this dual phenomenon. But unless and until these externalities are reduced by all nations individually and jointly, global warming and air pollution will remain unabated. In this sense, humankind is suffering from a dilemma: whether affluent life should be maintained or curtailed. As people live in different places and lead different kinds of life, it will be impossible for them to find a common solution. Muslim sectarian tension in the Middle East remains unabated. The recent conflicts in Syria and Yemen are a kind of proxy war between Saudi Arabia representing the Sunni and Iran representing the Shia. The world is rapidly changing, as rapid globalization and technological changes (the “fourth industrial revolution”) are taking place in all fields of life. The fourth industrial revolution is characterized by a much more ubiquitous and mobile internet, smaller and more powerful sensors, and artificial intelligence and machine learning. Inevitably, its speed and intensity vary according to the degree of industrial development of countries and regions. The massive migration of people from developing countries to developed countries -- in particular, African people to Europe and Latin American people to the US -- is taking place. These refugees are actually people suffering from extreme poverty and political turmoil in their respective countries. It is very ironic that people of newly independent countries who fought for or whole heartedly supported the independence of their respective countries now flee to their former colonial powers. They are faced with the question: Which is more important, political independence or survival? All the political leaders of newly independent states are responsible for both. A cold war between the US and China has been continuously aggravated since it surfaced in 2017. Former Presidents George W. Bush and Barack Obama sought a modus vivendi with China in the face of a new power challenger, but Trump pursues a containment policy. He believes that China is seeking not a peaceful rise but a kind of encirclement policy, and its initial move is to put Southeast Asian countries under its sphere of influence. He interprets China’s One Belt, One Road policy from the same perspective. Democracy had gained strength globally until 2016. That year, 97 out of 167 countries were democratic. But in 2017, the number of democratic states dwindled to 89. We should carefully watch whether this decline continues and the reasons behind it. Finally, the feminist movement has strengthened globally. The #MeToo movement in the West must have greatly contributed to this trend. 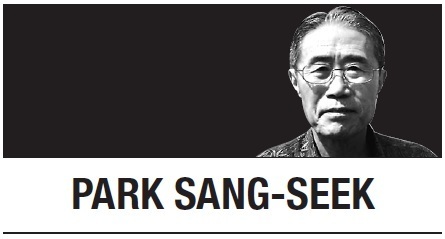 Park Sang-seek is a former chancellor of the Diplomatic Academy of the Korean Foreign Ministry. -- Ed.